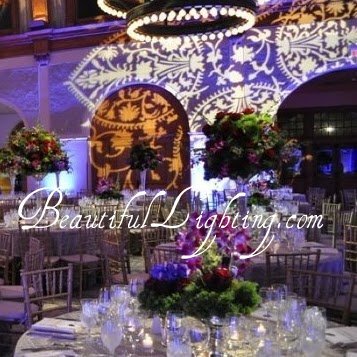 While Led’s are what every Bride wants, they are not the right light for every occasion. Since Led’s have come out, they make it easier not having to worry about the electrical at the venue. But there are draw backs and limitations using these lights. The problem starts with the color of light they produce. The camera sees it why don’t we? I think the lights are fine lighting scenery or walls. But they do very poorly on faces and on product. If you have to light the band with Leds, I would use a spot light if you have a big star walking on stage. I saw a horrible show they lit Smokey Robinson with just Leds for a benefit for the Jr League of Dallas. It was bad I could not get a useable picture. In a case like that I am not a fan of turning peoples faces that color. I would hope that if you were light a bride you would be careful with using Leds on the face. The Led just can not give us the true studio quality color that an halogen lamp can. Hiring a professional is your best coarse of action. 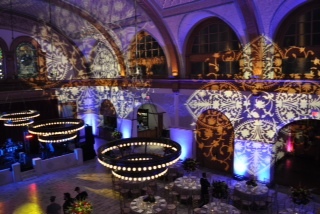 Getting your photographer to work with your lighting designer…even better!